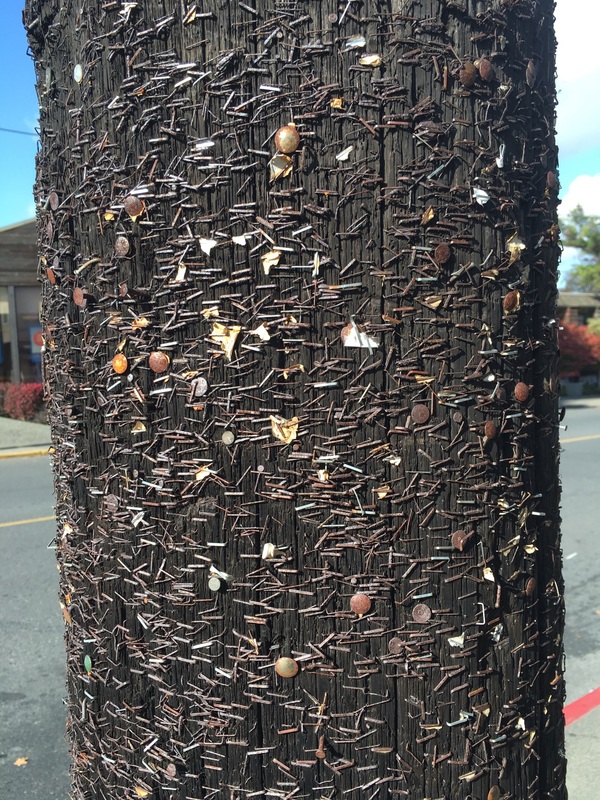 <rant on>I get it. 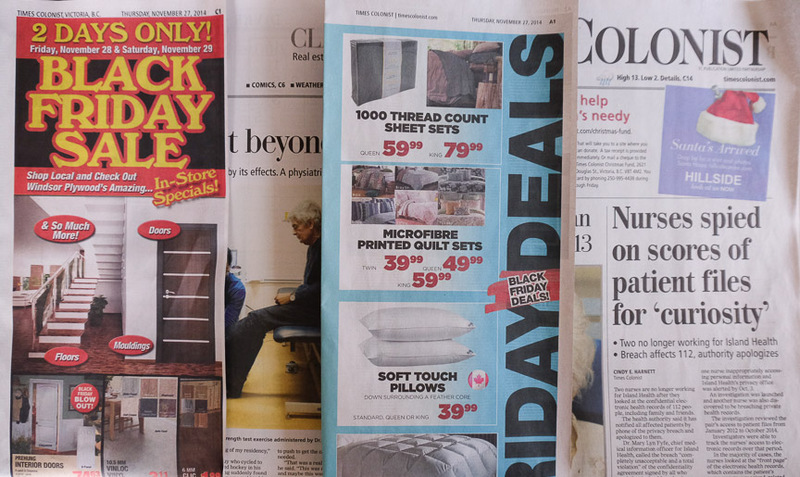 Generating a news paper costs money, and advertising pays for it. But paying for the paper does too, doesn’t it? Why, oh why, when I buy a news paper, do I have to break through ads to get to two, not one, but two of the sections to get to the news; one of which, I might add, is the front page of the damn paper. Grrrr. Above: the paper today in Victoria – on the left, section C1; on the right, the ‘front’ page. The ads had to be removed to get to the news. 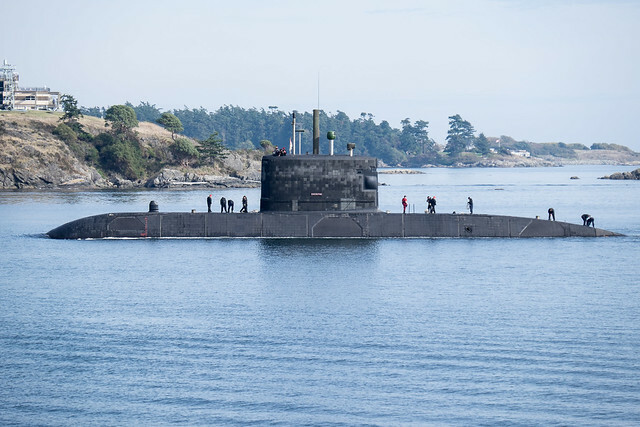 One of the Canadian Navy’s second-hand submarines returning to base. We can be proud of our veterans and serving military, but it’s a shame how the government dances around equiping our soldiers, sailors and airmen. These preserved guns, and other older canon installations at Ft Rodd Hill Park in Esquimalt BC, are a reminder that the west coast of North America has faced it share of wartime threats. 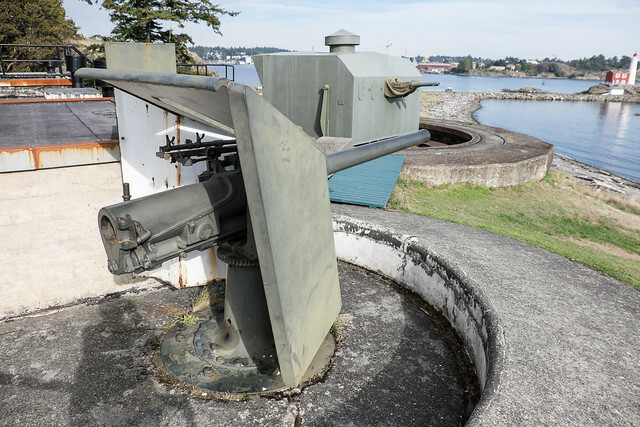 In the second world war, for instance, these guns were used in combination with submarine nets to regulate traffic in and out of Esquimalt harbour. The nets went from about the Fisgard Lighthouse (seen in the upper right) across to another fortified installation. For a while, Japanese submarines plied the west coast, looking to disrupt shipping. In fact, there are reports of at least one submarine (I-26) attacking a west coast lighthouse at Estevan Pt. on Vancouver Island. There was never the death and destruction felt elsewhere during the war(s), but men and women still had to be there to stand on guard. I’m thinking about this now, because my dad was one of those people. He flew the east and west coast of Canada in a Canso aircraft as gunner/observer, looking for submarines and other enemy shipping. Luckily, he said that on the west coast, most of the time they were just spotting whales. Just remembering my dad on this Remembrance Day eve. After a couple of weeks house/cat sitting over on Vancouver Island, I’m back. My sister, her husband, my nephew and his partner all headed off to Europe for a family holiday together. Nice, and I’m glad I could help out while they were gone. I also did some house hunting, and found myself an apartment in Victoria’s James Bay neighbourhood. I’ve heard good things about the area, so I’m looking forward to moving there over the next few weeks. Yes, it’s time for a change. 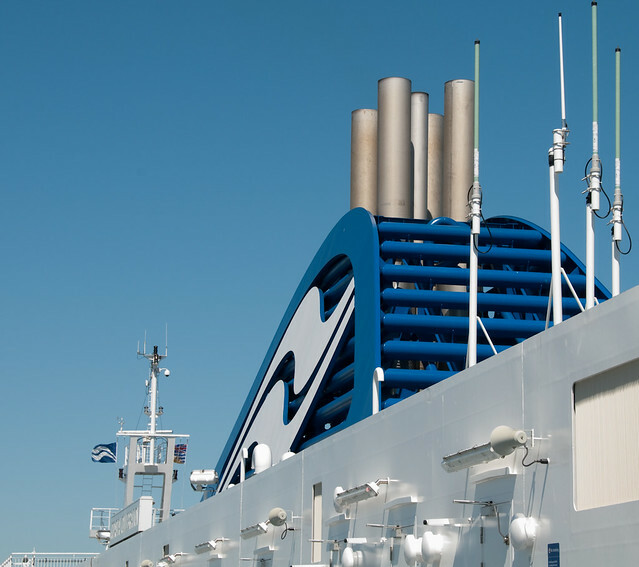 And yes, in the future, I guess I’ll see more ferry stacks, like the one in the photo above of BC Ferries’ vessel, Coastal Experience. I’m looking forward to some photography around the western most coast of Canada, and to exploring a more mediterranean climate around Victoria. 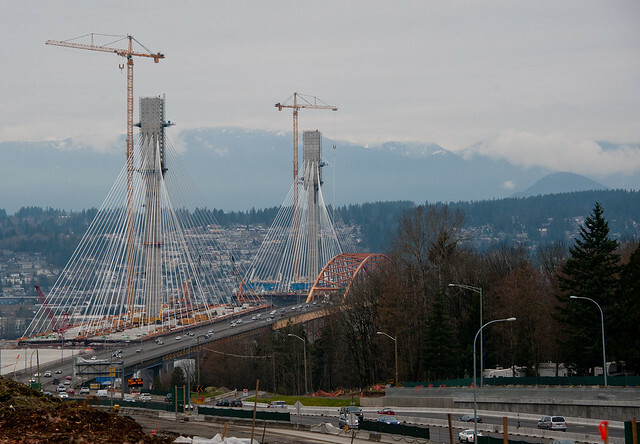 According to Wikipedia, the area gets around 25 in of rain a year, compared to Surrey’s 55 in. Victoria is a little warmer too. Mind you, just up the west (wet?) coast on Vancouver Island, Henderson Lake (the wettest place in North America) gets 261 in/year. A big difference across a small area. As I mentioned a couple of posts ago, this has been and still is a big project. I’ve actually spent a lot of time over the last few months getting rid of stuff so I wouldn’t have to move it. It’s truly amazing how much you can accumulate over 20 years in the same apartment, so it’s well past time to downsize and become more of a minimalist. Ha, like that’s ever going to happen ;-), but the load is lighter now. Still lots to do, but the big hurdle of finding a new home is over. Just a few more balls to juggle and we’re done. So Obama won the US election last night. I’m glad, if for no other reason than what seems to be the prevailing republican attitude. Yep, it’s our way or the highway. Scary. It’s going to be another hard fightin’ 4-year session with the Republican congress, a Democratic Senate and a Democratic President. I hope the American people can send a strong message that there needs to be some compromise to get America back on track. it ain’t going to happen without it.